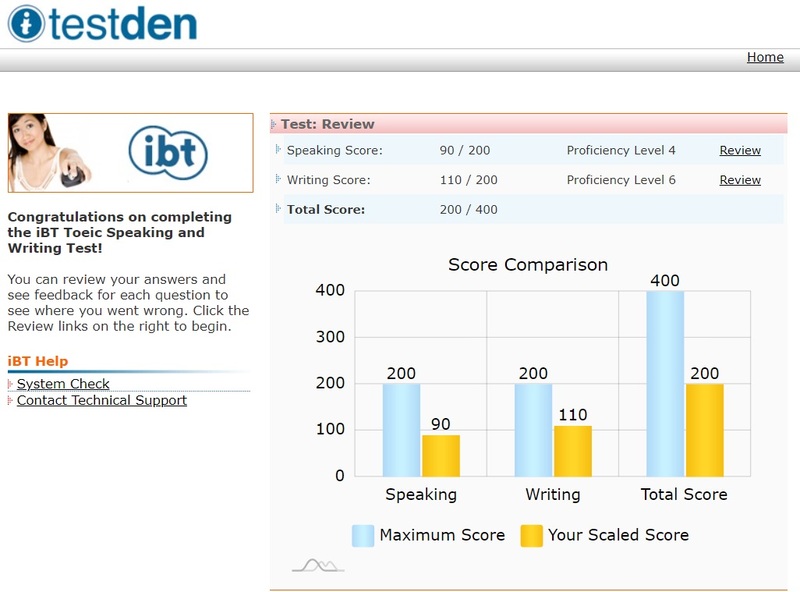 Instant password-protected access to the most complete TOEIC Test Prep program on the market. Receive your password within seconds of registration and get started right away! Instant password access. [a href="https://www.testden.com/register/index.asp" target="_blank"]Buy Now[/a]! Three complete TOEIC practice exams that give you a detailed look at what the test is like. 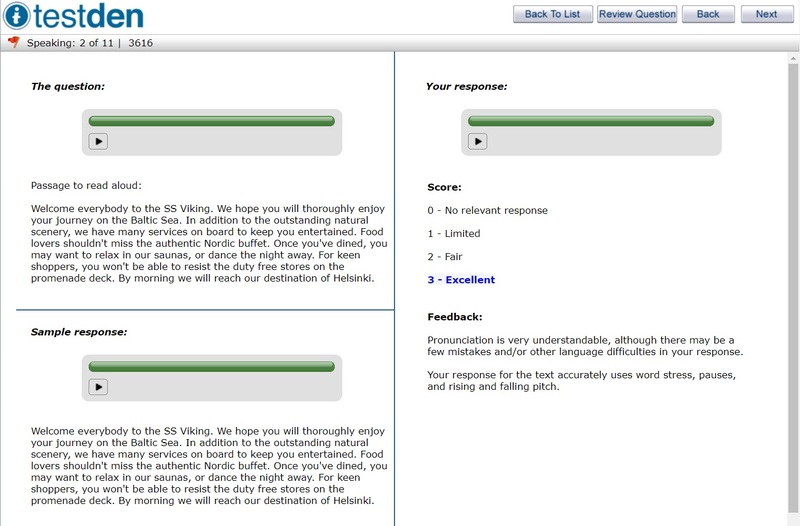 Each test has 100 reading and 100 listening questions. Try our free TOEIC Challenge today. Three complete TOEIC practice exams that give you a detailed look at what the test is like. [a href="https://www.testden.com/register/index.asp" target="_blank"]Buy Now[/a]! 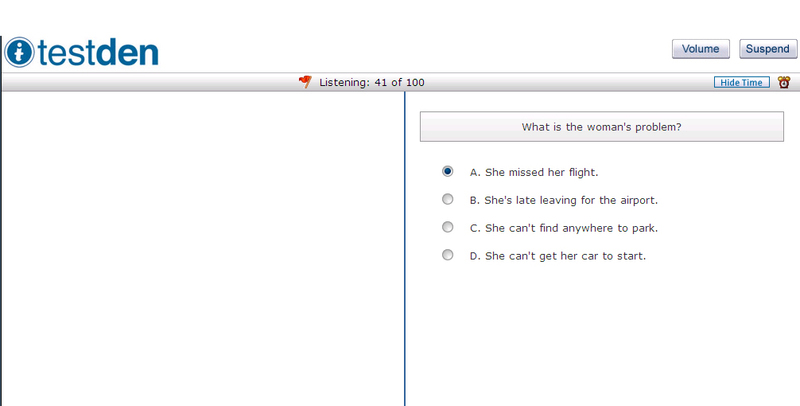 All new listening question types from the latest TOEIC exam version are included. All new listening question types from the latest TOEIC exam version are included. [a href="https://www.testden.com/register/index.asp" target="_blank"]Buy Now[/a]! Timed reading section so you know exactly what to expect. You may suspend your test at any time, and continue where you left off the next time you log in. Timed reading section so you know exactly what to expect. [a href="https://www.testden.com/register/index.asp" target="_blank"]Buy Now[/a]! 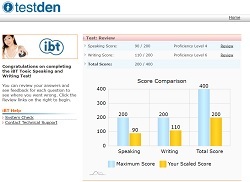 When you finish each TOEIC practice test, you will see your score with detailed graphs. 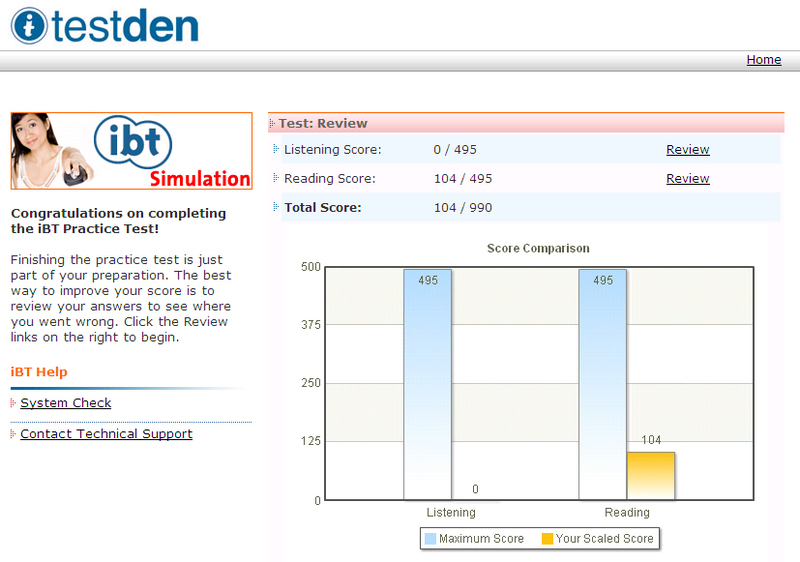 When you finish each TOEIC practice test, you will see your score. [a href="https://www.testden.com/register/index.asp" target="_blank"]Buy Now[/a]! But don't stop there. Go back and review the questions that you got wrong! 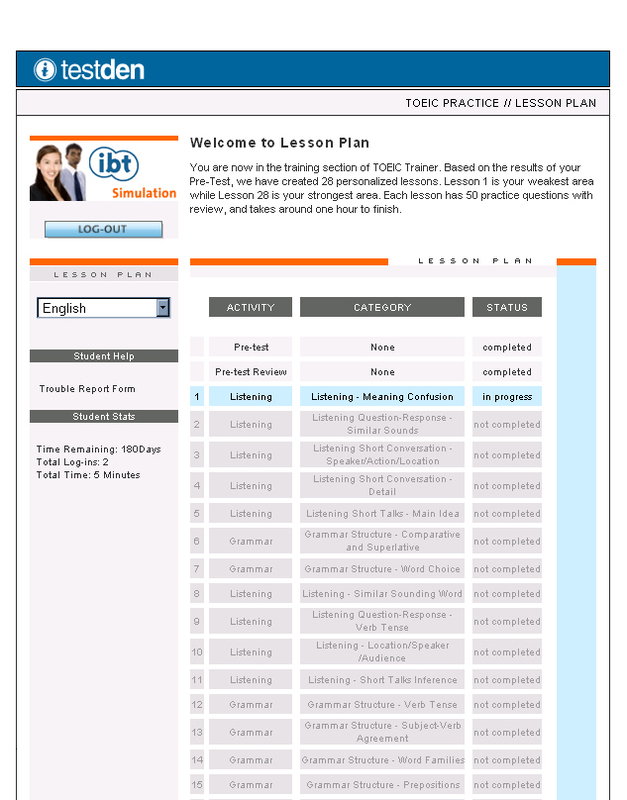 A detailed explanation is given for each answer so you can learn from your mistakes. Go back and review the questions that you got wrong! [a href="https://www.testden.com/register/index.asp" target="_blank"]Buy Now[/a]! 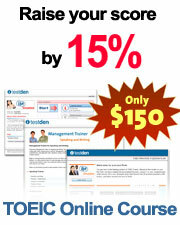 BONUS: Management Trainer for Speaking and Writing offers an extra 40 speaking and 20 writing exercises. Each exercise simulates an actual workplace task. 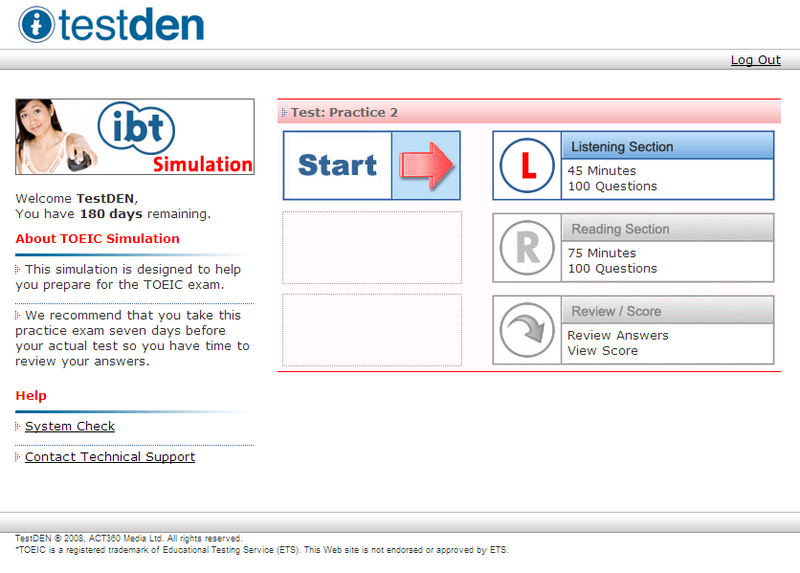 Each exercise contains a model response so you can study how to improve your score in these sections. BONUS: Management Trainer for Speaking and Writing offers an extra 40 speaking and 20 writing exercises. [a href="https://www.testden.com/register/index.asp" target="_blank"]Buy Now[/a]! 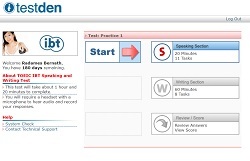 Using a headset and microphone, record yourself in the speaking section. 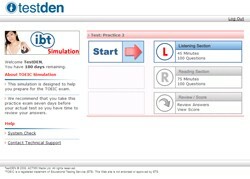 Powerful TestDEN technology digitizes and saves your answers on our server. 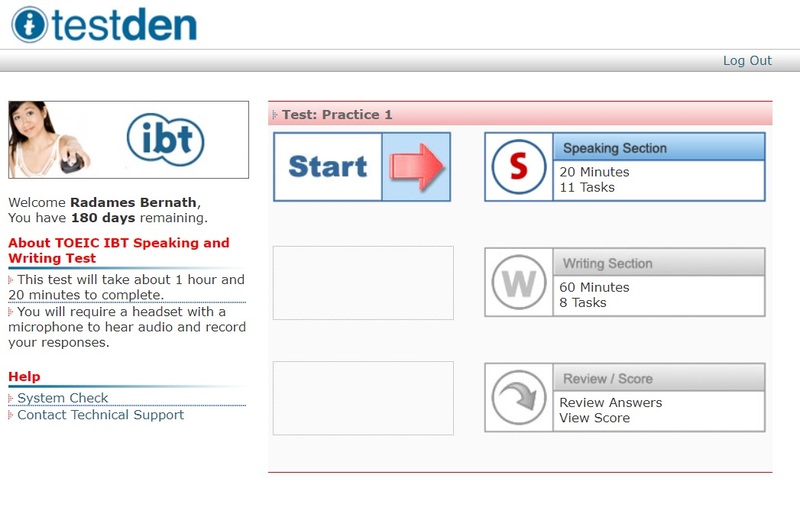 Using a headset and microphone, record yourself in the speaking section. [a href="https://www.testden.com/register/index.asp" target="_blank"]Buy Now[/a]! Timed writing section gives you practice writing under pressure. 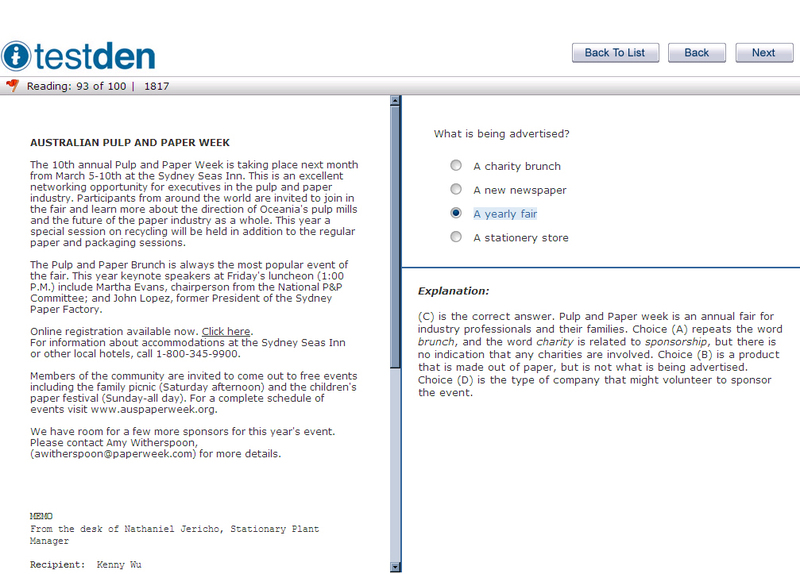 Timed writing section gives you practice writing under pressure. [a href="https://www.testden.com/register/index.asp" target="_blank"]Buy Now[/a]! 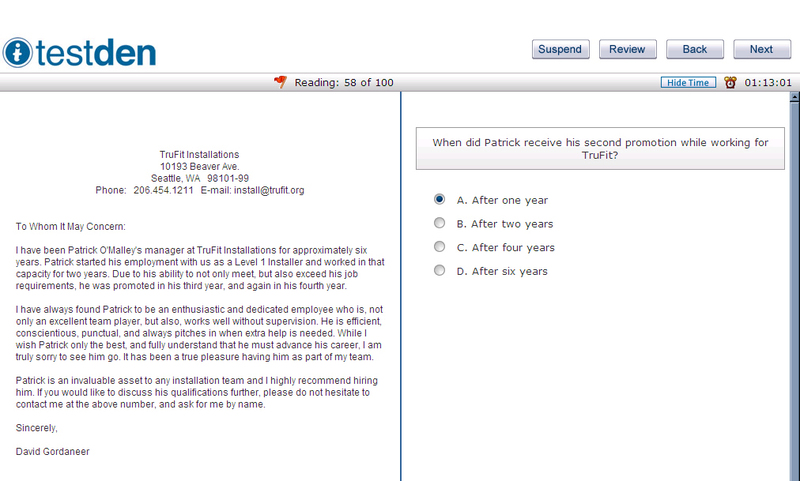 BONUS: TOEIC Business Trainer offers an additional 1,300 reading and listening questions. Go through one practice set every day and watch your TOEIC score go higher! 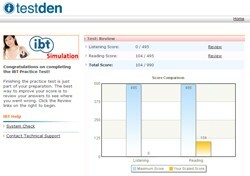 BONUS: TOEIC Business Trainer offers an additional 1,300 reading and listening questions. [a href="https://www.testden.com/register/index.asp" target="_blank"]Buy Now[/a]!